May | 2011 | G.O.N.G. So, remember my article where I talked about making Mark Merlin a Doctor Who style adventurer to flesh out one of DC’s 52? I’ve had a Master to go with my Doctor and I hadn’t realized it til now. Say hello to Shade the Changing Man. 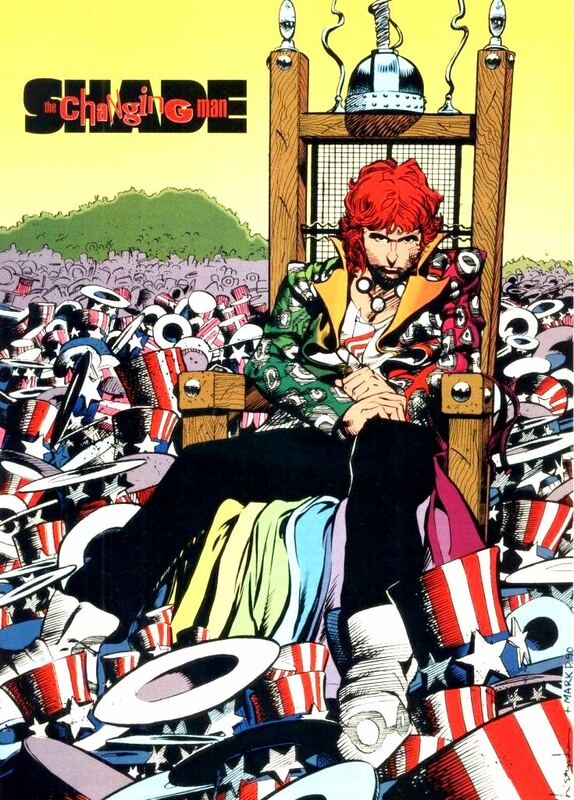 Originally created by Steve Ditko (The guy who helped make Spider-Man and one of my favorite heroes, The Question), Shade was originally just a guy from a parallel dimension who had a crazy M-Vest that made people think he had become some ultra crazy monster version of himself to fight the people who wanted him dead. 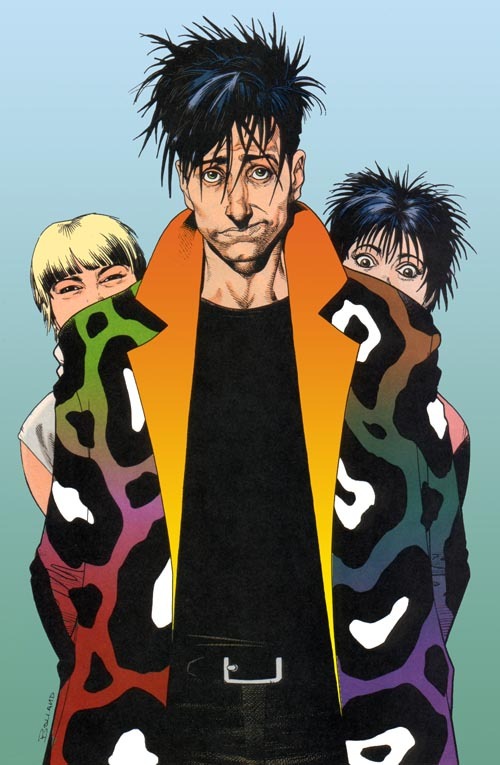 Eventually, DC’s vertigo line got their hands on him and re-wrote his story to where he came from his home dimension to stop the madness of humanity from consuming the Earth. The M-Vest could now actually warp reality by taking hold of madness itself. Unfortunately, the only way for him to be able to stay on the planet is to occupy the body of a dead person. He ended up have 5 different forms during the 70 issue run, one of which was a woman. Did I mention that each of these forms had different personalities? And that he has companions? And at one point they all got a time machine to travel around in to fix stuff? And was even written by a British guy? Just like a particular well know adventuring Time Lord, now; doesn’t it? Shade would still come from another dimension, but this dimension is just a pocket within Earth 32. Merlin would have met Shade there whilst exploring the multiverse before adding any companions to his adventures. Shade accidentally becomes aware of the fact that his M-Vest (which have a combination of both of it’s functions) doesn’t work on Merlin, due to the former’s run-in with the Mobius Chair having made him Super Sane (driven so mad that he’s sane again). Fascinated and terrified, he vows to inhabit Merlin’s body so he, too can gain nigh-infinite knowledge of everything. This of course would mean killing Merlin, who escapes Shade’s dimension. Not taking kindly to this, Shade finds a body to inhabit on Earth and plots to kill Merlin whenever the chance permits itself. Of course, I’d have him act in mirror of his Vertigo selves while on Earth, with his original Ditko version not only being his actual form, but act in the criminal way that everyone in the original comic thought that he was. Perhaps I should just go ahead and write this story out, eh?